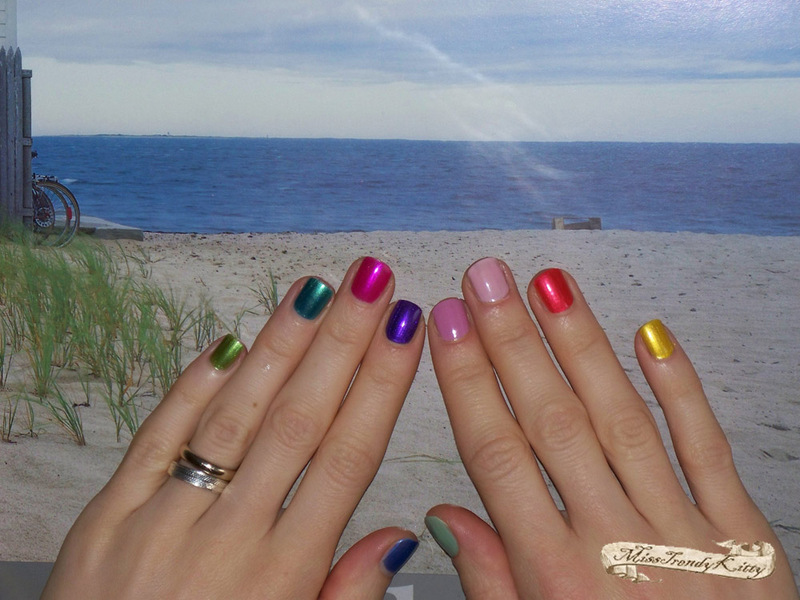 Trench Collection by Sonia Verardo: Debby Color Play Nail Polishes: I'm enjoying my prize! 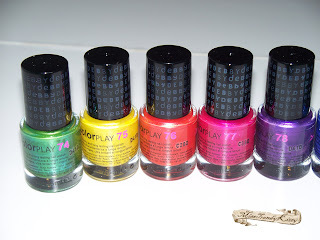 Debby Color Play Nail Polishes: I'm enjoying my prize! Some of you might know, might just still remember, that this past spring I entered a make up contest that the make up brand "Debby" was holding on their facebook page. The theme was to create your favourite look for spring/summer! The look was based on the bright colours such as green& gold. Coral/peach colour lipstick was perfect for this look! Green eyeshadow by Pupa Make Up. Sephora Green Idyll palette with cream eyeshadows, lipgloss& a blush! I WON the second prize!!! The prize that I was supposed to get was awesome too! 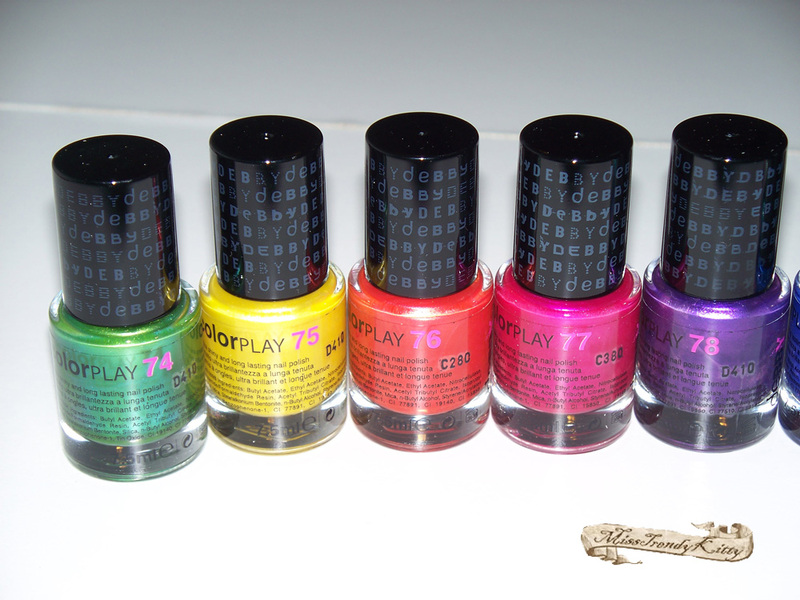 10 brand new nail polishes from Debby Color Play collection for Spring& Summer! I guess they just lack in organisation, because they said they would ship the prize by the beginning of August (I won the contest in June, or July), and then they just..well..didn't send it! I didn't want to be too pushy, so I asked only twice, three times max. during this past five months, about when were they planning to ship the prize or whether they've misplaced my address, but I never got any clear answer. I'm a bit sorry about that part, but aside from that, I always knew Debby is a good company, it's basically Deborah's "little sister", as I like to call it. It's designed for younger customers, very trendy, colourful, playful. And Deborah is very well known italian cosmetic brand! 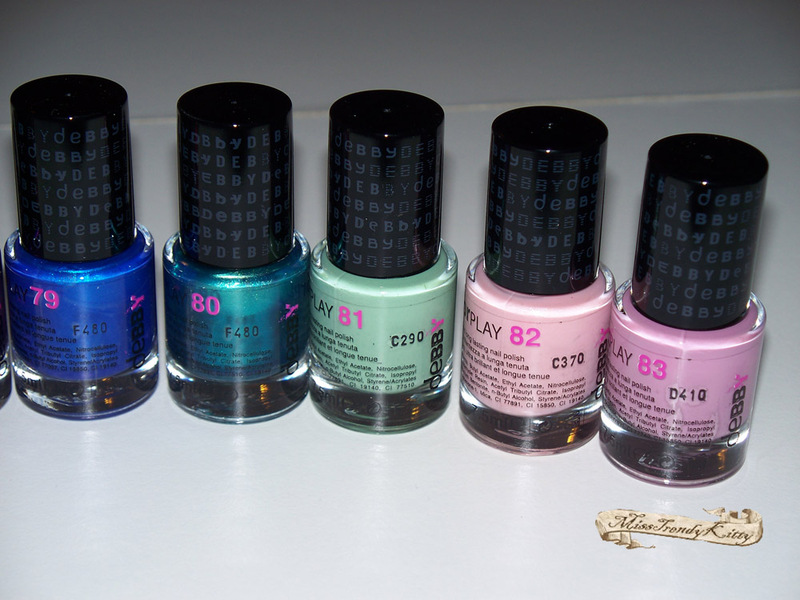 It's been on the market for a while now, I remember my first nail polish being exactly by Deborah! During high-school days, among us girls, Deborah's concealer in stick was very popular...and the eyeshadows too! These polishes don't come by a name, but only a number. From the left to the right: 79, 80, 81, 82, 83. 74, 75, 76, 77, 78. I have to say, the colours are very pretty, very pigmented (two coats are more than enough!) and quite long lasting. For this season, I would definitely still wear the colours: 78, 79, 80, 82 and 83. Which one of these would you choose to wear in autumn/winter season? of creating different looks are endless! 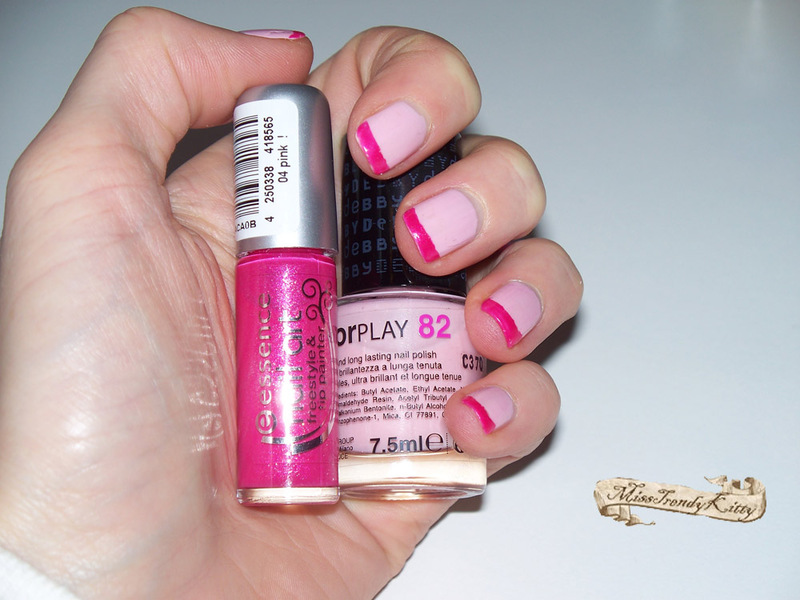 To paint my tips in a hot pink, I used essence tip painter! 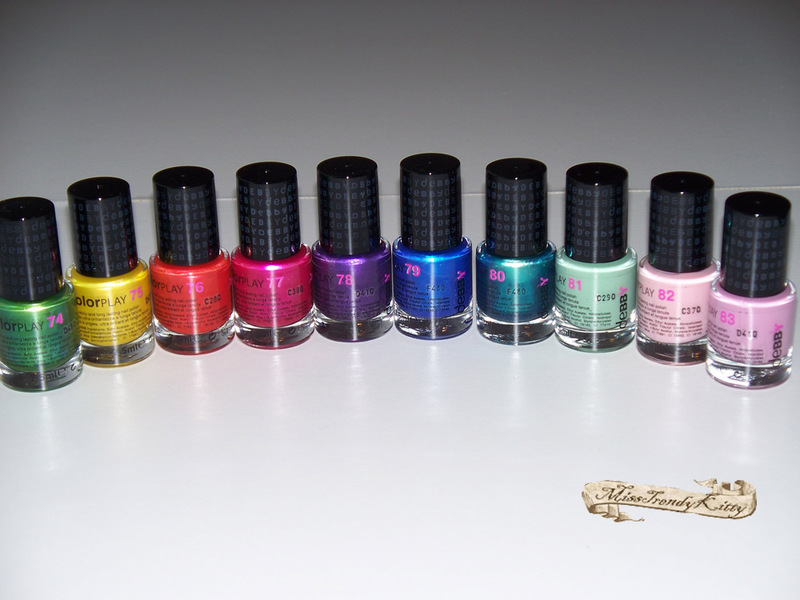 I just know, I'm going to enjoy these nail polishes so much! great rainbow prize! shame it took them so long to send it! 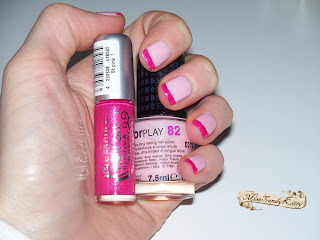 I quite like the use of the two pink colours you did on your nails as well! But I'm happy I finally got them! I'll definitely enjoy wearing them, especially in the warmer months!